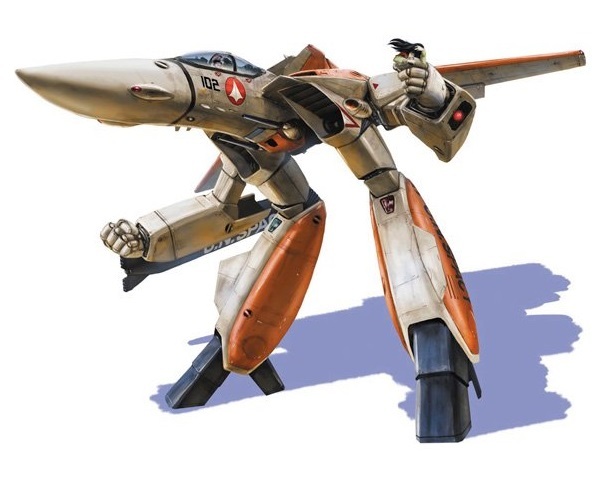 This is a 1/72 scale model kit of the VF-1D Valkyrie in Gerwalk mode. It uses many of the same parts as Hasegawa's previous Gerwalk kit (which is a mix of fighter and Battroid parts plus some new ones), with the requisite two-seat cockpit and unique head. Includes resin cast 1/72 scale figures of Minmay: one is a sitting position and one wearing her famous Chinese dress. Package art by Hidetaka Tenjin Scheduled for release in April 2016 for 3,800 yen.